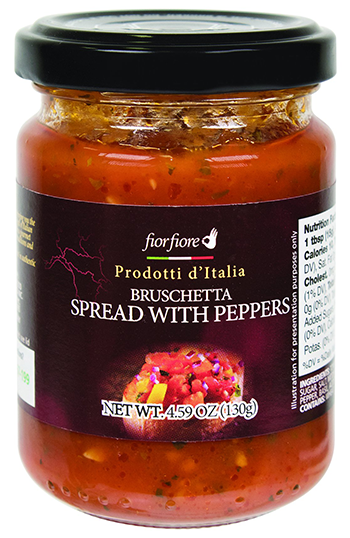 Under a partnership between Ahold Delhaize USA’s Retail Business Services unit and COOP Italia, the Fior Fiore products — including appetizers like olives and bruschetta, oils and dressing, pasta, pasta sauce, pastries and snacks — will be sold for a limited time at Food Lion, Giant Food, Giant/Martin’s and Stop & Shop stores, as well as by online grocer Peapod. Fior Fiore products are made from fresh, high-quality ingredients and have no GMOs, colorants, hydrogenated fats or post-harvest treatments, the companies said, adding that items contain additives only when necessary. Retail Business Services noted that the move to offer Fior Fiore products at Ahold Delhaize USA stores reflects ongoing consumer interest in Italian cuisine. Citing a study by Statista.com, the retailer said more than 60% of U.S. consumers ages 18 to 64 say they eat Italian cuisine at least once a month. COOP Italian Food, based in Casalecchio di Reno, Italy, is a relatively new company formed by COOP Italia to bring its private label Italian foods to the international marketplace. Its 4,000 SKUs include the core COOP brand products, Fior Fiore gourmet foods, Vive Verde natural and organic items, Bene si wellness-focused products, Solidal fair trade foods, and Club 4-10 and Crescent children’s brands.